2013 has been a huge year of celebration of creativity, artistic discovery and major design milestones. Minimalism and flat style are some of the major design trends this year. Also, we have seen a lot of logo redesigns from small and major brands. Even YTD rolled out a logo and identity makeover this year! While some got so much attention in the design industry because of proper direction and execution in redesigning their logos, some went viral because of the striking negative feedback they received. A change in company logo is a major aspect that affects the overall branding and identity. While some just made some minor tweaks, some did a major revamp of their existing logos. Today, lets take a look back at some major logo redesigns, refinements and modifications that made a buzz this year. Which do you think get into the right direction and which of them made a bad decision? The revised logo of Firefox rolled out midyear of 2013. The latest logo is much simpler, with softer gradients, the glossy feel was reduced and some changes on the continents were made. This might not be a “major” logo redesign but the change made a buzz since Mozilla somewhat go out of the flat style trend in logos. 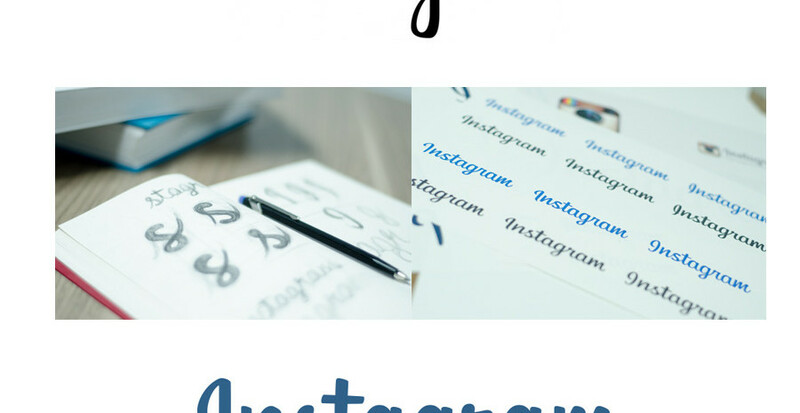 The new Instagram logo has this smoother and more fluid feel. The logotype was more refined, durable and positioned the brand for expansion as described by designer Mackey Saturday on his Dribbble account. The script has less personality, having a slightly professional feel but still maintaining Instagram’s unique and prominent branding. The new Yahoo logo is probably the most talked about logo redesign of the year. This major move from the Internet giant injected some fresh visual interest to the iconic purple wordmark. The process of picking the new logo was viral itself when the company launched “30 Days of Change” the countdown last September showing a new logo everyday. The final logo was disappointing for many saying the use of bevel and embossed effects is just off. While Yahoo did a major revamp of their logo, Google sneaked out some modifications of their logo. The changes include the use of refined color palette and some letter shapes alterations. The drop shadow effect from the previous logo was removed making the new corporate logo flat and more united with the branding of their other products. The logo update also paved the way for the new design of Google Search navigation bar introducing the app launcher feature. Since acquiring Motorola in August 2011, Google has finally injected some of its branding features in the popular mobile phone manufacturer. The new logo of Motorola Mobility features all lowercase type with the classic “M” badge in colorful new versions. “a Google company” tagline now appears in the logo as well. The popular email marketing website got some quality improvements in their logo. San Francisco-based designer Jessica Hische did some refinements in the old MailChimp logo including lightening its weight some revisions on the letterforms to enhance legibility. Discovery Network’s Animal Planet channel also launched a new logo this year which features the missing “M” being replaced by photographs of animals and presenters. The new logo was inspired by the channel’s tagline “Surprisingly Human” which will be used internationally. When most logo redesigns tend to follow the flat design trend this year, it is good to see some that try out different approach. 2013 is also the year that eBay finally tweaked its 17-year old logo. The original boring wordmark of the online shopping giant is refined into a logo with simple font yet retaining its traditional color scheme. The overlapping letters from the old logo was removed although the letters still touch each other in the new logo. The use of simple font is reminiscent of Microsoft’s new logo, which the company revealed last August 2012. The fast food restaurant made a buzz in the blogosphere this year after unveiling it’s new logo after almost 30 years. The redesign features a simpler and whimsical type and still with the iconic cameo of Wendy now seemed to be grown up. The redesign was actually great – fresh and modern. But the feature that made this redesign more popular was the hidden message on Wendy’s collar depicting the word “MOM“. Stocklogos said that, “it should not be a surprise to see the fast food restaurant, Wendy’s associating their refreshed brand with Mom’s cooking.” However, Denny Lynch, Wendy’s senior vice president for communications said that the hidden message was unintentional. Another flagship product of Microsoft, Bing has also rolled out its new logo this year. The change was to give Bing a more obvious visual association to its parent company. The revamp include the use of a more stylized and abstract “b” and switch to a customized Segoe font in the wordmark. Scott Erickson, senior director, brand and creative says that the color pays tribute to the orange dot from the previous logo while embracing Microsoft’s color palette and inspired by the corporate flag logo. Earlier this year, Billboard – the weekly music magazine has unveiled its new logo featuring a bolder type in all lowercase letters. Pentagram, the studio which handled the designing did a great job in presenting a stronger branding for Billboard without loosing the iconic “pop” identity of the magazine over the years. Del Monte has been in a smooth and clean evolution in terms of their logo design. This year, they still managed to create a sweet transition from their previous logos to create a new and improved logo. The design was simplified removing extra lines and reducing drop shadows resulting into a modern and better brand positioning. Other notable changes include a slimmer wordmark and adding the message “Garden Quality” into the new logo. P&G’s original logo way back in 1850’s was a symbol representing moon and stars. The symbol inspired the recent logo redesign which place their classic wordmark on top of a circle with a crescent moon to bring back some of the company’s heritage in a contemporary way. If someone doesn’t know the logo history of P&G, it might be hard to decipher the presence of the crescent moon in the new logo. The new Hooters logo celebrates the 30-year legacy of the dining restaurant with more than 500 branches worldwide. Designed by Atlanta, GA- based Sky Design, the new Hooters logo implies a more modern vibe without removing the classic “naughty” identity of the brand. Notable changes include the cartoonish version of the owl and some improvements on the typography. No “wow” change was seen but a nice tweak on an iconic logo without losing its legacy. There you have it guys! Which do you think made the best or the worst logo redesign this year? If you know other noteworthy logo redesign projects that happened this year, then please do tell us via the comments below! Change is inevitable. And we are looking forward for many logo redesigns 2014 has to offer. Which company or brand will make it to the spotlight of badly redesigned logos and which will cut through a smooth and awesome makeover? We’re here to find out.